I have been preparing people to speak to and appear on the media for coming up to 20 years. In that time Facebook, Twitter and Youtube, helped along by the iPhone, has changed how the media works and how stories are both sourced, shared and consumed. What has not changed is what constitutes news or people’s misunderstanding of the best way to approach a media interview. There is still a wild paranoia that a journalist or specific media organisation is out to get someone. This then leads to a relentless pursuit of not “dropping a bollock”. What then follows is a kind of paralysis preventing someone from being a brilliant ambassador for themselves or the organisation they are representing. In forgetting what a fantastic opportunity speaking to many thousands, if not millions, of people is a media interview is too often deemed a success if its as bland as a blancmange. It is ok to actually say something newsworthy during an interview with journalist. This is something this week’s award winner managed in tough circumstances. The Andrew Marr show on the BBC on a Sunday morning is an agenda setting political programme. Being on the show has the potential to set the tone for the coming political week. All too often though politicians and business leaders approach it with such timidity and lack of preparedness that they fail to take advantage of the opportunity presented to them. Penny Mordaunt, secretary of state for international development, in her first interview in her new job, probably had a few butterflies in her stomach. It seems though that instead of retreating to areas of safety - aiming to come through the event unscathed - she instead recognised these butterflies to be just another form of excitement and seized her chance. A line that was probably prepared in advance but in doing this she deserves a big thumbs up. 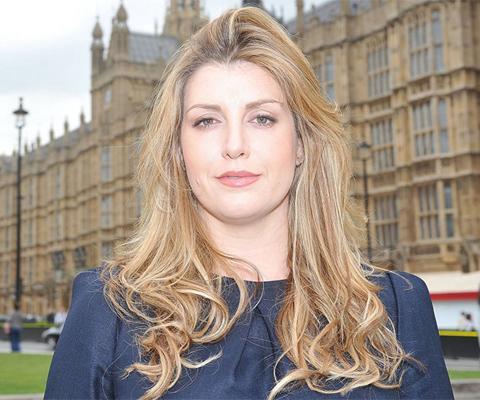 Being prepared and willing to take advantage of the opportunity speaking to the media gave her makes Penny Mordaunt my Communicator of the Week. Communicator of the Week is written by Edward Staite.